Home→flood survey→Can Engineering Flood Study Help Your Neighborhood? Can Engineering Flood Study Help Your Neighborhood? Can an Engineering Flood Study Help Your Neighborhood? A recent article in the Allied News in Grove City, Pennsylvania reminded me of the Engineering Flood Studies that I have completed over the years and how these have helped the neighborhoods adjacent to the streams that were studied. 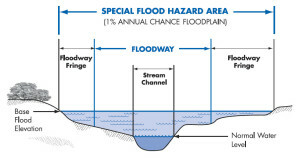 The fact about flood zones that most people don’t realize is that EVERY stream has an elevation that it will rise to given a certain amount of rainfall. The more rainfall, the higher flood waters will rise. 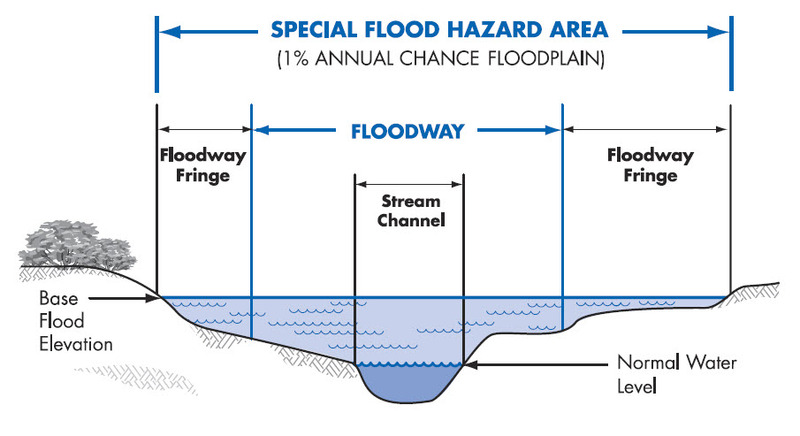 So, when an area receives the 1% chance storm (formerly called the 100-year storm), you will see the flood waters rise to a level called the Base Flood Elevation (BFE). And, again, every stream has a Base Flood Elevation. So, if you live by a dry ditch, an intermittent stream, or a year-round flowing creek, you should be aware of the Base Flood Elevation of that stream. So, FEMA doesn’t “PUT” you in a flood zone. They only map the flood hazard of more and more streams each time, and “SHOW” you in the flood zone that you were already in. There are also instances where development has occurred since the previous flood maps were created and your area has experienced an increase in the flood elevation because of the change in the amount and speed of the runoff. 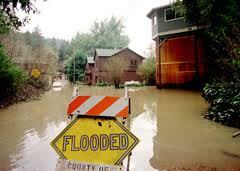 The most common areas that are in need of a flood study are those estimated flood zone “A” areas on the flood maps. This means that a “detailed study” hasn’t been done for that area and the flood zone is estimated based on contour maps of the area. It is difficult for insurance companies and surveyors to determine your risk in these areas because we don’t have an elevation to use to compare to your home elevation. Determine the length of the stream to study. This can be 500 to 5000 feet or more. Collect cross-sections of the stream. This gives the shape of the stream bed which tells us how much water can move through the stream and how far outside the banks the flood water will come. Determine the drainage area for the stream. This is done using contour maps of the area. Estimate the runoff coefficients for the drainage basin. This is not easy to accurately estimate and this step is where lots of variance is built into the equations. Use the data collected and an approved method and software program to determine the base flood elevation. Submit the findings to FEMA for concurrence and approval. As I said in one of the steps, drainage calculations are only estimates. All of the approved methods and formula have a certain amount of variance in them. Most methods are from 65% to 85% accurate. This is based on the many types of soil, vegetation, and ground cover that occurs within the drainage basin, and the estimates used in the amount of rainfall and runoff that occurs. This is why most flood ordinances require that new homes are built at least one to two feet above the BFE. And, it’s the reason that I always recommend that you get flood insurance if you are close to a stream, even if you are shown as being OUT of the flood hazard zone. The insurance policy is cheapest in that situation. And, flooding over the 1% storm happens all the time. Consider it similar to your homeowners insurance which covers fire damage. If you have questions about a flood study, or any other flood elevation questions, call Knoxville Land Surveying at (865) 249-0447.